The music is pumping, drinks are flowing, and a steady stream of appetizers are coming from the kitchen. Post-work crowds are chatting around the bar, and everyone seems to be in a good mood. There’s a reason they call it happy hour. If your venue serves alcohol, there’s good reason to get in on the good times between post-work and pre-dinner. A happy hour executed properly can create buzz for your restaurant, expand your customer base, increase staff earnings, boost slow periods, and most importantly, grow your bottom line. Here are 5 steps to creating a fun and profitable happy hour in your restaurant. Choose three to five low-cost menu items and highlight those items as your happy hour specials. A house red and white wine, one or two beer choices, and a specialty cocktail are all you need. Keep your happy hour specials consistent, and stick to the same time and day of the week, so that guests know what to expect and can rally their friends and co-workers to your venue for a regular weekly meetup. If Judy from the office around the corner knows she can get a glass of the house white for $4 every Thursday at 5pm, she’ll be back, and she’ll bring her co-workers too. A special happy hour food menu featuring high margin items, like nachos, are perfect for sharing, and great for the bottom line. Think of adjusting portion sizes of current menu items like sandwiches and appetizers to platters for the groups of rumbling tummies coming in after work looking for a quick bite to eat. Don’t forget to have your regular menu on offer too, for the guests that want to order a meal to go with their drink special – a happy hour ideal. Your neighborhood will dictate your draw, but it’s still a good idea to focus on the flow of workers finished up for the day. As the workday wraps up, nine-to-fivers waiting out the rush hour traffic, couples headed out on post-work dates, and co-workers eager to dish about the day are all looking for somewhere to go for cheap rounds of drinks. Think about what your establishment can offer this crowd and let them know about it. A big patio perfect for groups? A romantic nook great for couples? Whatever it is, cater it to them. Your staff is your frontline, and happy hour by nature and title, should be happy. Make sure your staff informs all customers of the happy hour deals so no one misses out. Encourage your servers and bartenders to chat with new customers, ask them about their day, and invite them back. Creating a rapport with the new faces and getting to know new customers on more of a personal level creates a connection and willingness to return, and it’s a surefire way to turn your new happy hour patrons into regulars. Use the scheduling option on your POS to have your happy hour specials turn on automatically so you can set it and forget it. Schedule the happy hour menu to start ten minutes before and be available until ten minutes after your official happy hour time frame to give guests and servers a bit of leeway. Offering a weekly happy hour with consistent specials and profitable snacks available at the same time on the same day each week, can bring in new faces that stick around for dinner or become regulars even when it's not happy hour. By engaging your staff, catering to the right crowd, and automating your promotional menu to turn on at the right time, you can run a very happy and profitable happy hour that creates buzz and brings people together. A note: Before you start planning your happy hour, don’t forget to check the liquor laws in your area. Some places are not legally allowed to discount the sale of alcohol or to offer timed specials. Keep it classy and keep it legal. 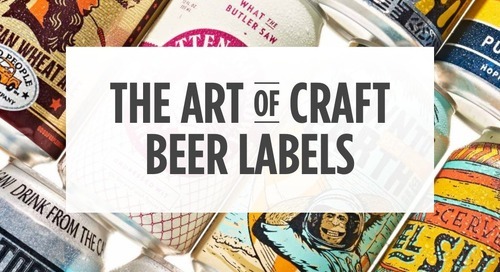 2 branding theories to make your craft beer stand out.